Jennifer Aniston and Harry Morton, who is also the founder of Pink Taco restaurant chains, were spotted on a dinner date at the luxurious Sunset Tower Hotel in Hollywood on Wednesday night, September 1. According to the site, the pair sat at a corner table for two-and-a-half hours before leaving in separate cars. “Jen was at a cozy corner table with a good looking younger man. She was twirling her hair a lot and flirting shamelessly,” an onlooker told the site. The eyewitness further claimed as the night went on, Aniston and Morton got closer and more intimate as at one point, the actress touched Morton’s arm and moved right next to him as they looked at photos from his iPhone together. 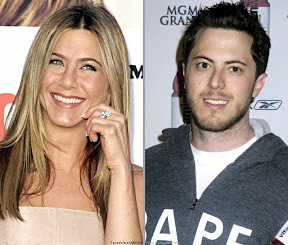 The dinner date ended as Morton “picked up the whole check.” While the ex-boyfriend of Lohan left the restaurant with his jeep, Aniston left through a back door under tight hotel security. Harry Morton Speed Away After Dinner Date With Jennifer Aniston.